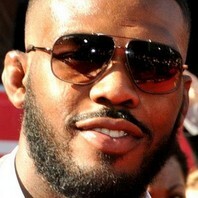 UFC fighter and mixed martial artist who is a former UFC light heavyweight champion. He attended Morrisville State College. He was the first MMA fighter to be sponsored internationally by Nike. He has three daughters named Leah, Carmen and Olivia with Jessie Moses. Fellow fighter Anderson Silva was also signed by Nike, and prior to Jones, but it was only on a regional scale.